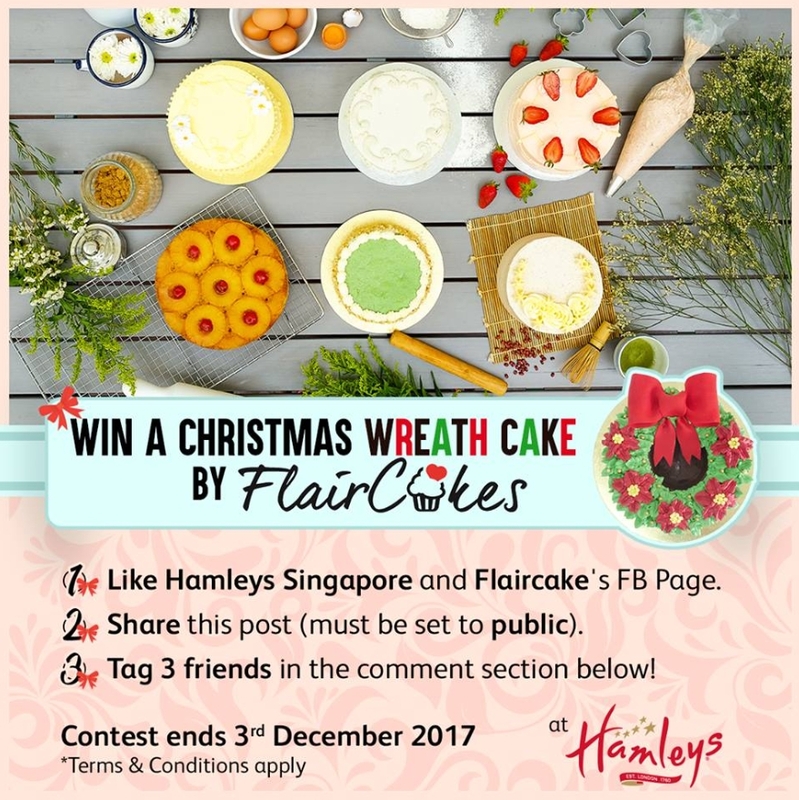 (Giveaway) Stand a chance to win a delicious Christmas wreath cake by Flaircakes! 1) Like Hamleys Singapore and Flaircakes’ FB Page. 2) Share this post (must be set to public). 3) Tag 3 friends in the comment section below. Contest ends 3rd December 2017 (23:59hrs) and the winner will be announced on this post. *Prize must be collected within 2 weeks from the announcement date. Terms & conditions apply.